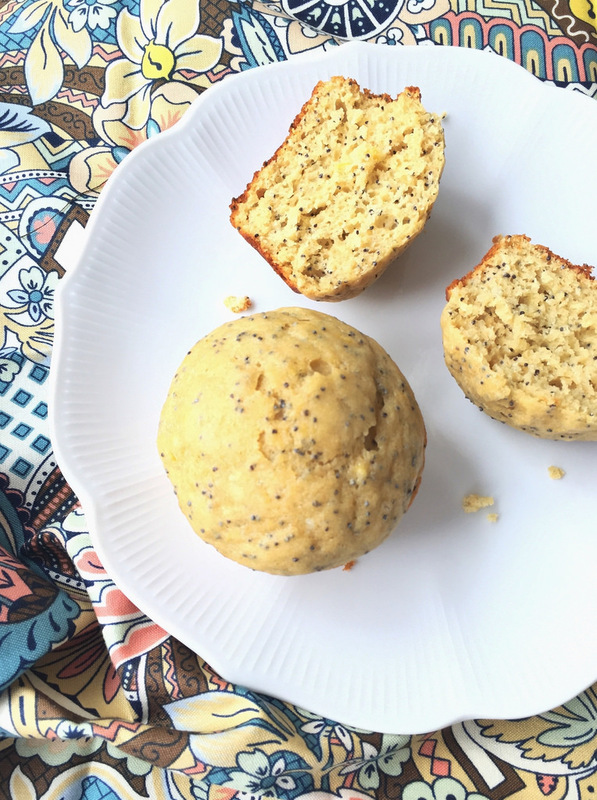 These healthy Lemon Poppy Seed Muffins are light and luscious and have more fiber than the usual donut shop options. Made with white whole wheat flour, a third cup sugar, olive oil, and poppy seeds, this muffin makeover is perfect for breakfast or a lunch box or afternoon snack. 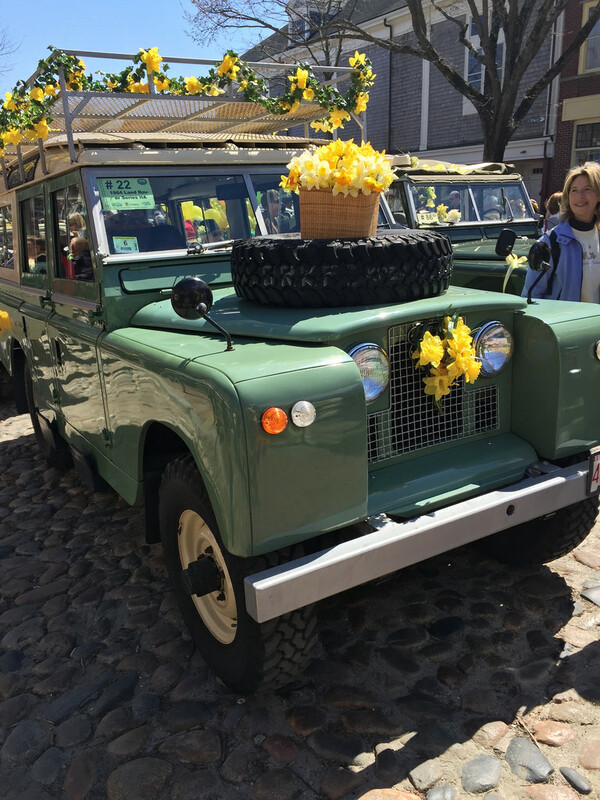 The idea for this recipe came to me last weekend during the annual Daffodil Festival on Nantucket where the color yellow popped up everywhere — from the daffodil-decorated vintage cars in the Nantucket Town to Sconset parade to the tailgate picnic. Read this post and you’ll see what I mean! 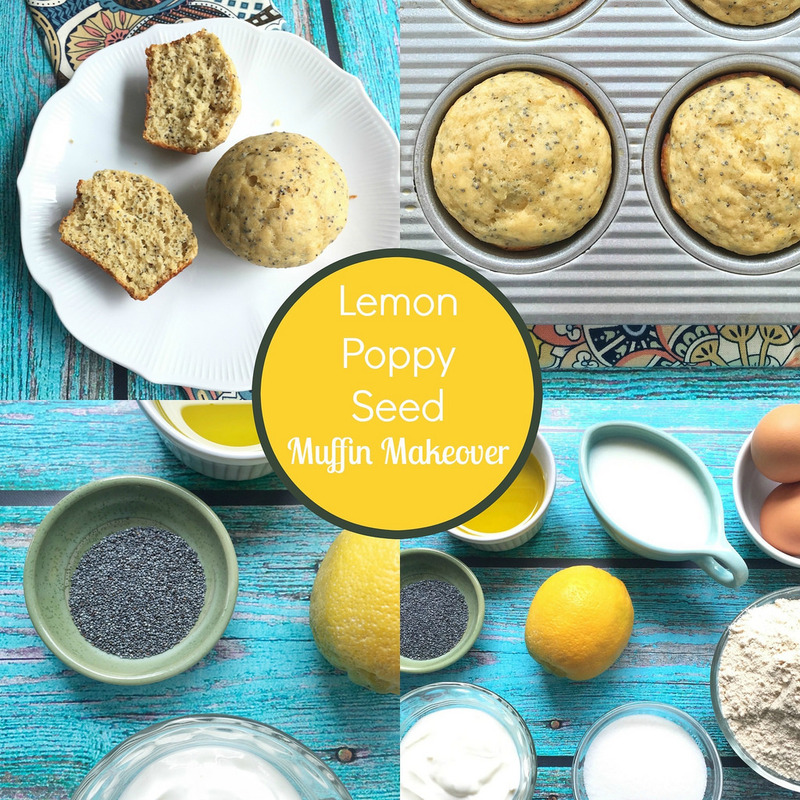 Lemon Poppy Seed Muffins get healthy w/less sugar, whole wheat flour, and extra virgin olive oil! Lemon poppy seed muffins are typically made with all white flour and lots of sugar. Mine gets health-ified with whole wheat flour, evoo as the fat source, and only 1/3 cup sugar. If you love lemon, this is the recipe for you. I added the zest of one lemon to the recipe, though you could definitely double that amount. Top with your favorite all-natural jam to add a bit more sweetness. Preheat the oven to 350°F. Lightly oil or coat 12 muffin cups with nonstick cooking spray and set aside. Whisk together the flour, poppy seeds, baking powder, and salt in a large bowl. In another large bowl, whisk together the eggs and sugar until well combined. Whisk in the yogurt, oil, milk, zest, juice, and vanilla until well blended. Pour the liquid ingredients over the dry ingredients and stir until just moistened. Spoon the batter into the prepared muffin cups. Bake about 18 minutes, or until the muffins are light golden and a toothpick inserted in the center comes out clean. Transfer the pan to a wire rack and cool for 5 minutes. Remove the muffins and cool an additional 5 minutes before serving. To make 24 mini muffins, bake about 14 minutes. Freeze leftovers in resealable plastic bags. 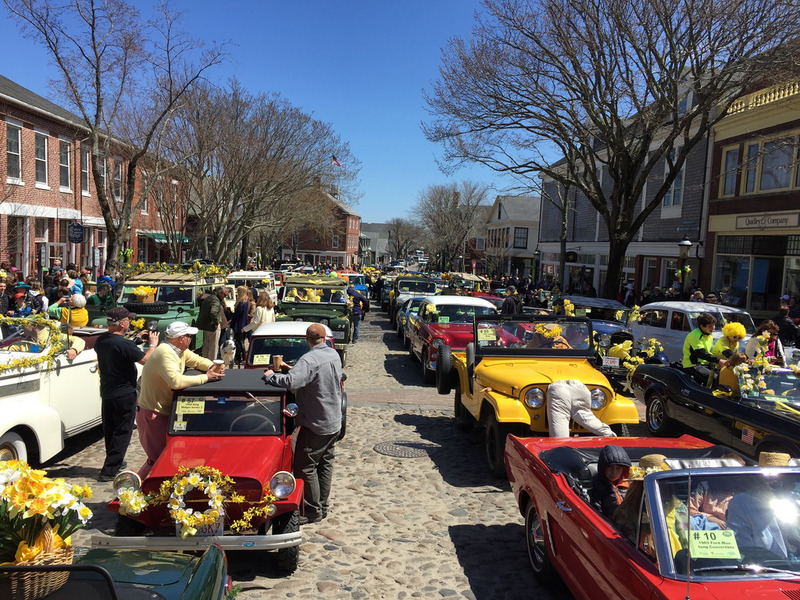 Here’s what Nantucket looked like last weekend when 100 vintage cars lined up for the parade. 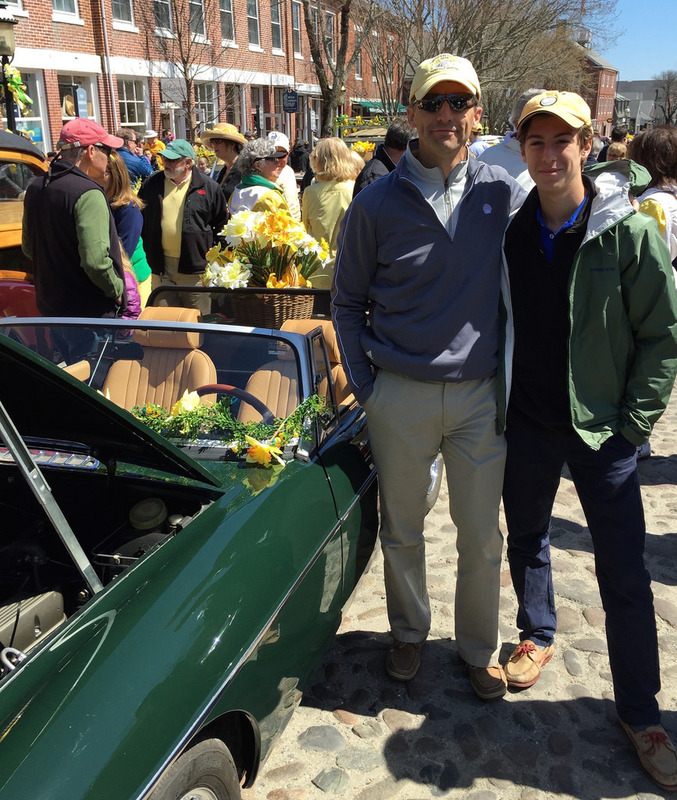 My husband entered his 1974 MGB (lower left) into the parade, and luckily it only died once along the route! How funny is this? 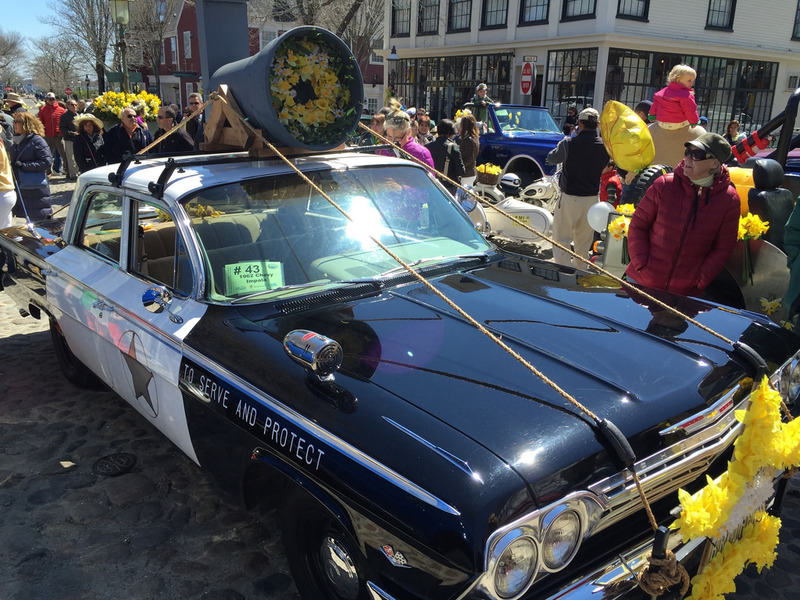 The owners of this car were even playing the theme music from the movie from that crazy loudspeaker on top. If you’re jealous of my headband, post a comment and I’ll tell you how I made it!!! Yippee! 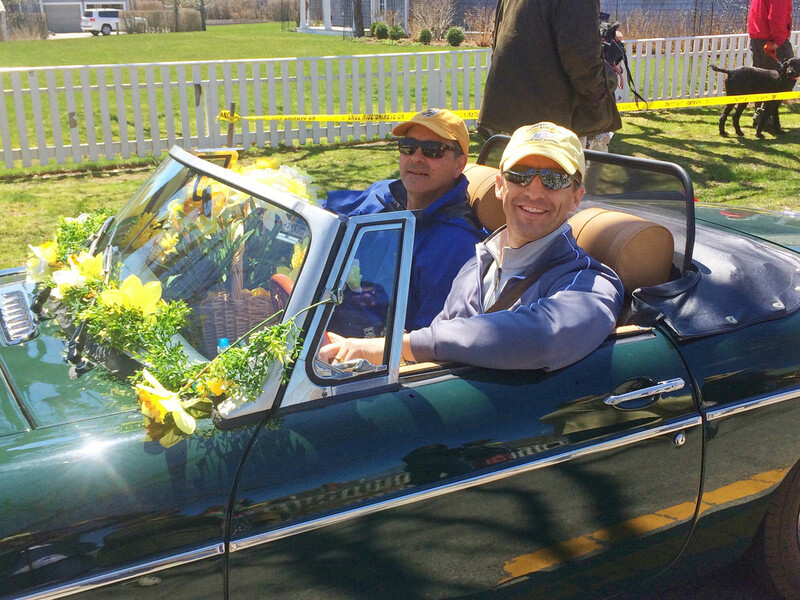 Tim and his friend, Kevin, made it to the Sconset picnic. 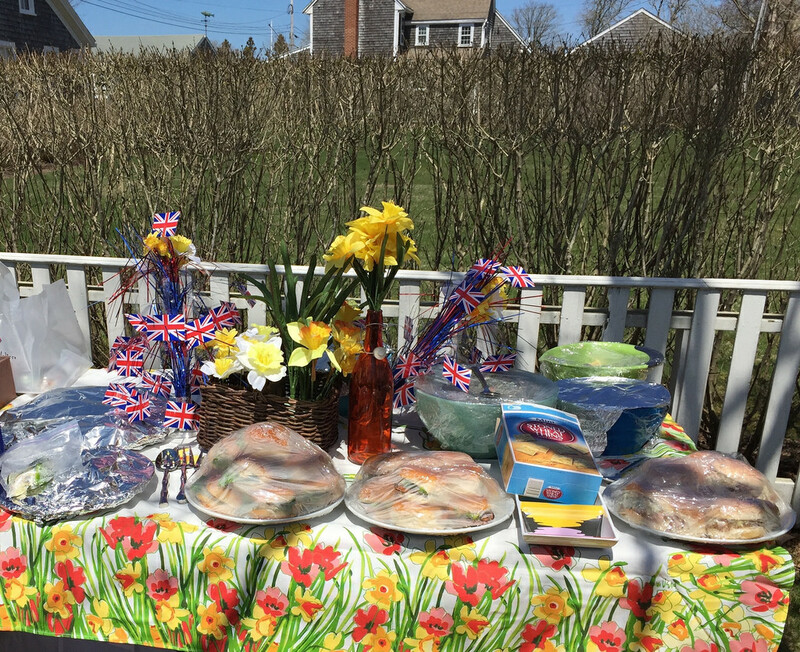 We still consider ourselves Daffy newbies since this was our first picnic. But just you wait till next year. We’re dreaming up some fun themes (Disco Daffy perhaps?) and hope to have something as impressive as this …. 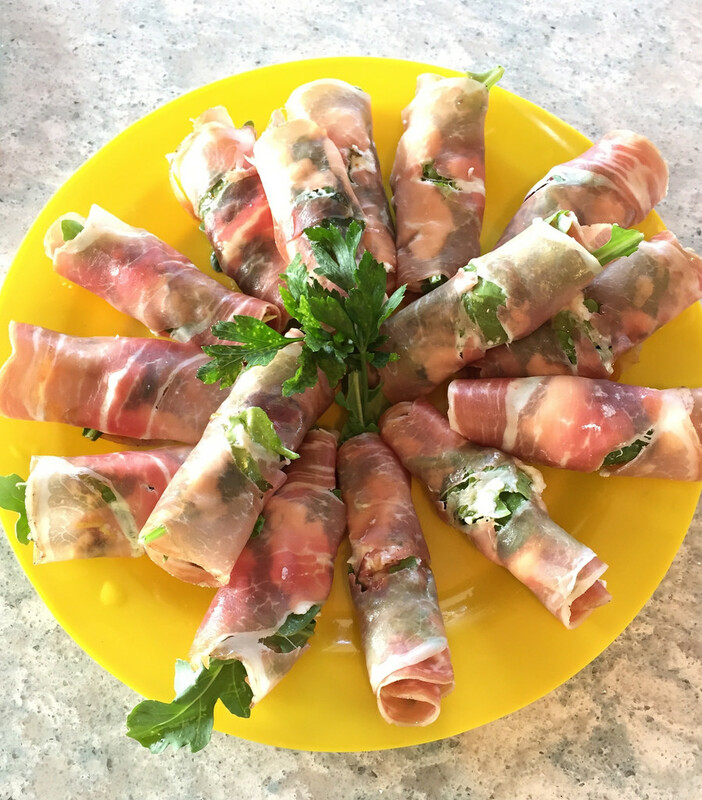 I made a version of Prosciutto Goat Cheese Rolls with Fig Preserves and Arugula for our picnic along with Wild Rice Summer Salad. 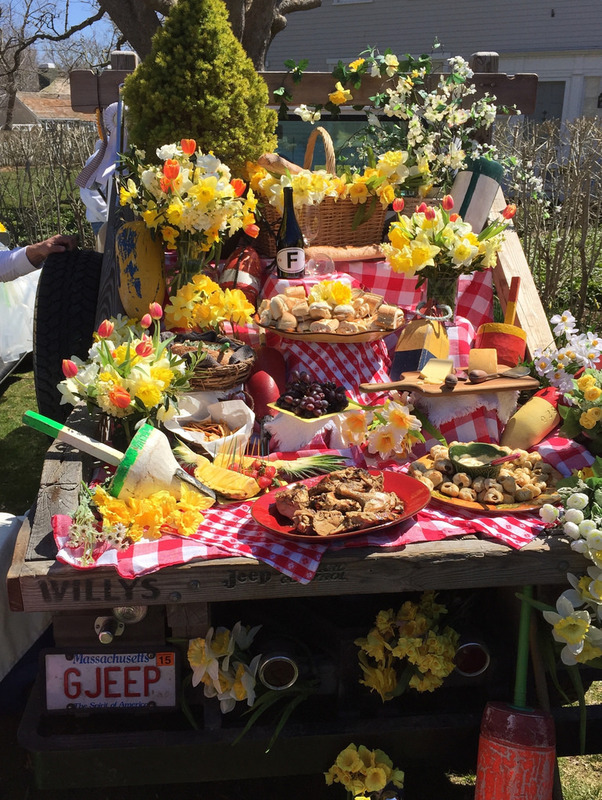 We have a tulip festival here in Michigan—- I think next year we should trade spots so I can enjoy the daffodil festival 😉 looks like you had a wonderful time! And I LOVE lemon poppyseed muffins! No more boxed mix! 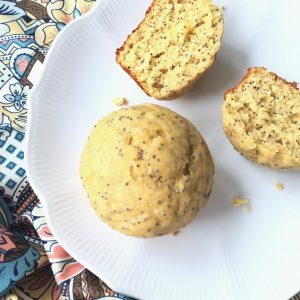 I love poppyseed muffins but have never made them myself, this healthy version looks wonderful! 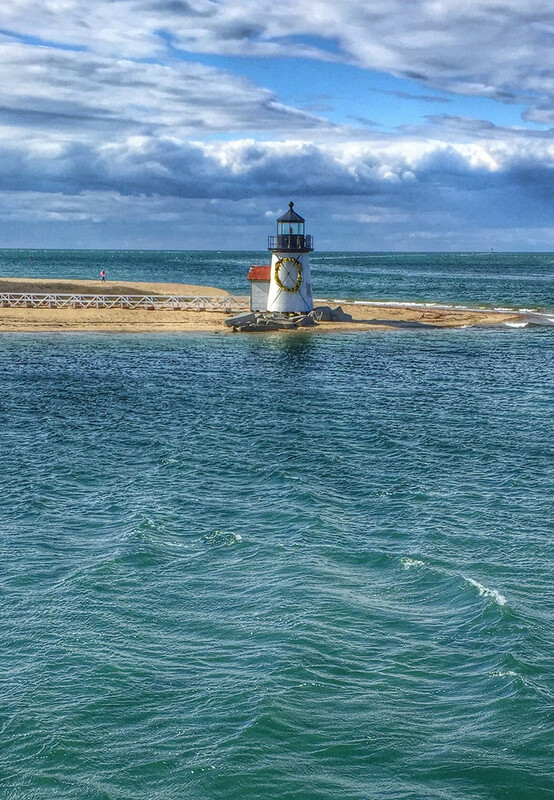 And Nantucket is on my bucket list of places to visit! Yum! 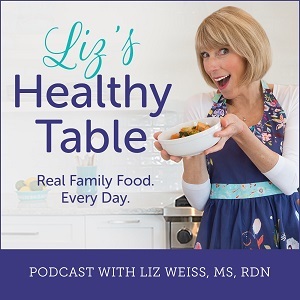 Love lemon poppyseed- I’m going to definitely try out this recipe. The festival looks like a lot of fun! I love the lemon and poppyseed combo! Can’t wait to try these! 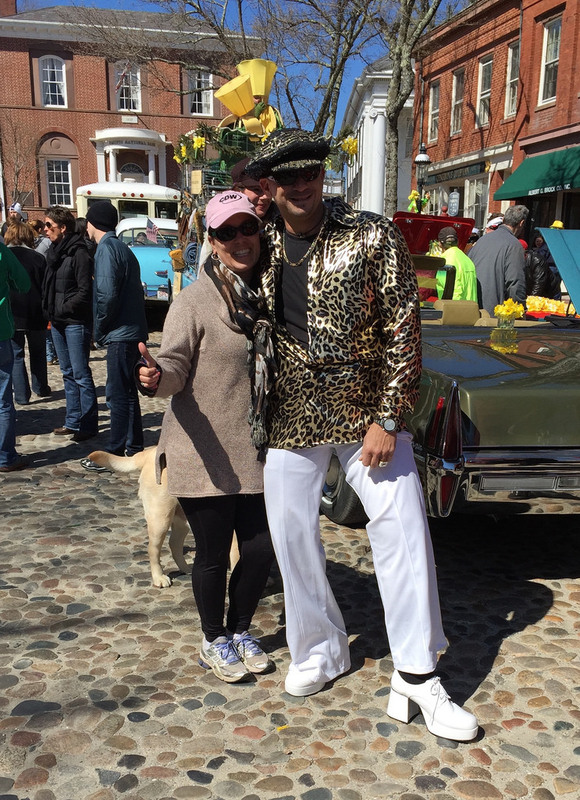 Looks like it was such a fun weekend in ACK! 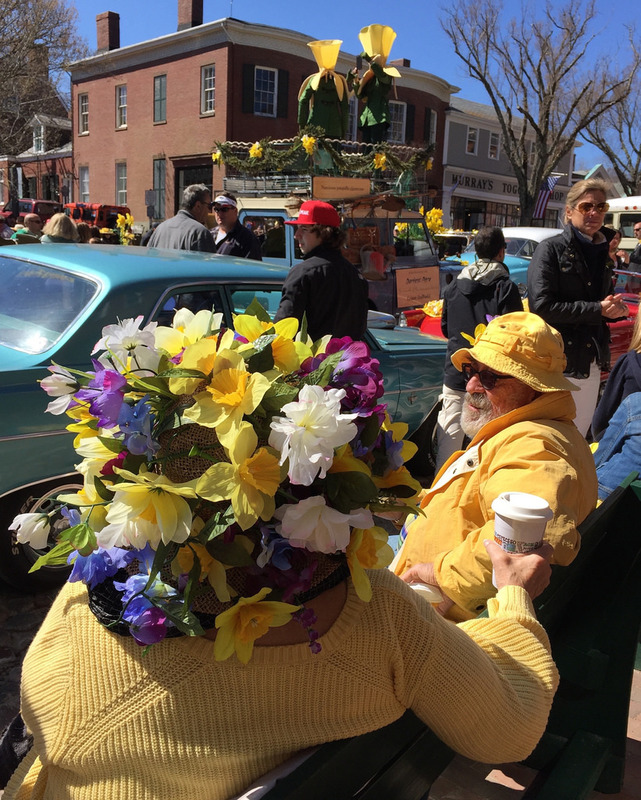 I didn’t know they had a daffodil parade since we never go this early in the year. We’ll be there in June this year. Hope we get to see each other! And maybe you can make a batch of these delicious looking muffins. My husband would adore them! 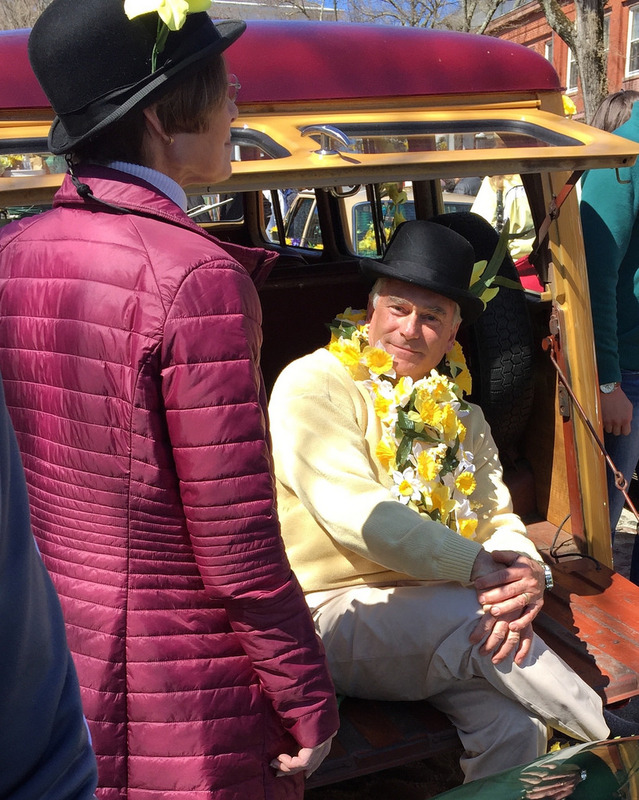 Jessica, if we DON’T get together on ACK, I’ll be so sad. So let’s make it happen! Lemon Poppyseed Muffins are one of my all-time favorite baked treats. 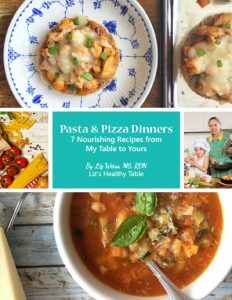 I truly can’t wait to try the recipe! 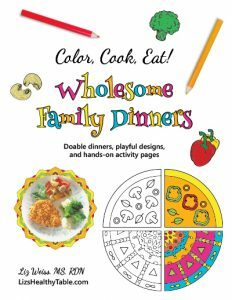 Love the pictures and yummy recipes. Hope I see you on the island this summer!! Absolutely. 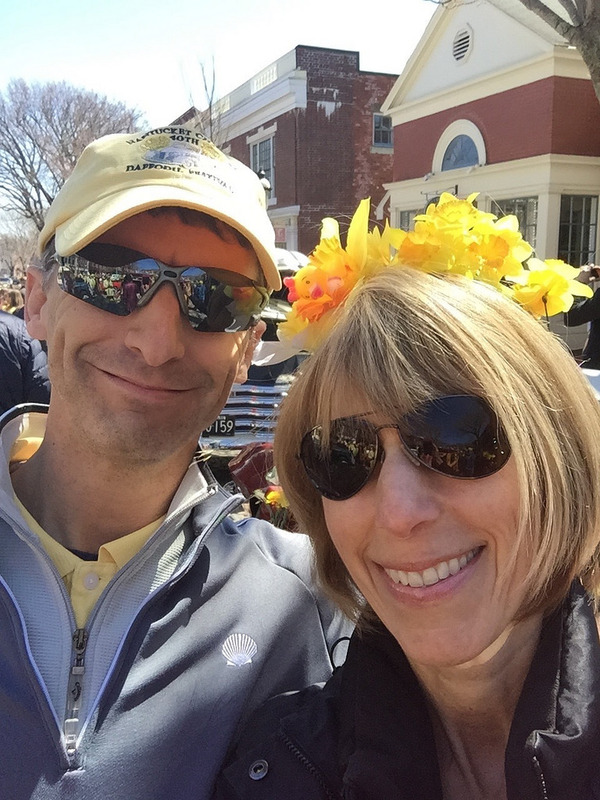 Let me know when you are there and you can come over for lunch … or we can meet out for dinner! 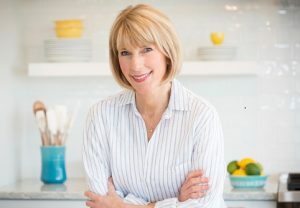 Plus … we MUST have you as a guest on Cooking with the Moms to talk about the FODMAPS Diet. OK, will try it – good point on needing some extra liquid. Will let you know how they turn out, thanks!